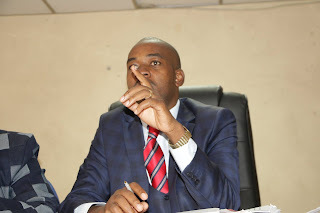 OPPOSITION leader Nelson Chamisa’s MDC-T will hold primary elections from Saturday this week, with the final candidates’ list expected by end of next week, NewsDay has learnt. Party secretary-general Douglas Mwonzora confirmed the development yesterday. “We will be holding our primary elections from May 5 to the 12th. We have set these dates to make sure the whole process is completed and the last day is the deadline for us to have the list of all candidates ahead of the general elections,” he said. Mwonzora also confirmed reports that names of some aspiring candidates had disappeared from a provisional list, adding they had invited aggrieved candidates to register their concerns at the party headquarters in Harare. “It is true, but we have allowed all those aggrieved to appeal so that the process is fair. We cannot allow criminals to tamper with our internal elections. There are names that have been fingered and if we get evidence, these people will be disqualified,” the former Nyanga North lawmaker said. Mwonzora did not have figures of affected prospective candidates. “I do not have the figures, but quite a number of people appealed and we accepted their re-applications. It is cheap for someone to try and disadvantage others through nefarious means. We may be forced to disqualify some offenders,” the MDC-T secretary-general warned. The MDC-T tried to circumvent the divisive process of primary elections by encouraging consensus, but this was rejected by members, setting the stage for a bruising fight between sitting legislators and the mostly youthful aspiring candidates. “If it’s not handled properly, then it could cost the party. It’s a delicate issue because there are clear divisions between two factions. The party is still to heal given the position that senior leaders like Mwonzora had taken during the leadership crisis,” NewsDay heard. The MDC-T split into two distinct factions early this year, with Chamisa and former deputy president Thokozani Khupe fighting over leadership of the opposition party following the death of their founding leader Morgan Tsvangirai in February. Aspiring party candidates in Matabeleland North said they found their names withdrawn after they were linked to Khupe’s camp.